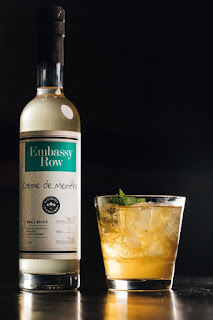 District Distilling, the nation’s capital’s first united Distillery + Kitchen + Bar, located at 1414-1418 U Street, NW, is pleased to unveil a newly minted classic, Crème de Menthe, for sipping this winter and enjoying in a classic cocktail. 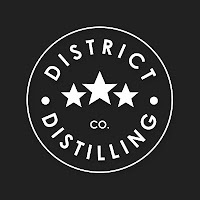 Executive Chef Justin Bittner, Head Distiller Matt Strickland, and the District Distilling team are dedicated to serving and creating exceptional spirits and ingredient-focused dishes. This newest addition to their Embassy Row line of spirits - the distillery’s line of small batch spirits - gives this traditional yet tempting cordial a little modern intervention. The inspiration to add Crème de Menthe to the Embassy Row line came from a trip to Bittner’s family farm. For the test batch, Bittner collected heaps of Mountain Mint from his parent’s farm, Alder Meadows, located in South Pennsylvania and Chocolate Mint from Northern Neck Farm in Heathsville, Virginia. He also sourced wildflower honey from Stoner Apiary in McConnellsburg, Pennsylvania. Head Distiller Matt Strickland distilled the mint for four months using Corridor Vodka as the base spirit and added honey. When Strickland achieved the taste profile he appreciated, he filtered the spirits three times, and welcomed the arrival of Crème de Menthe. It will be available for purchase beginning February 26, 2018 and priced at $25 for a 375ml bottle. District Distilling’s Crème de Menthe has an egg white appearance with a slight hue. The nose right off the bat is dark chocolate mint, reminiscent of Andes chocolate mints, followed by the depth of the woody Mountain Mint varietal and finally the wildflower honey giving the nose a floral, herbaceous scent. On the palate, it’s sweet, viscous and exceptionally smooth. This artisan spirit is intense enough for the serious and refined enough for the passionate. One will also find the new Crème de Menthe incorporated into classic cocktails such as The Stinger with brandy or The Fallen Angel using District Distilling’s Checkerbark Gin, fresh lime juice and a dash of angostura bitters. On the baking side, Chef Bittner suggests creating Crème de Menthe brownies and diners will find them on his dessert menu this winter. The origins of Crème de Menthe are not refined. Pharmacist Emile Giffard developed it while researching the digestive effects of mint. The traditional formula steeps dried peppermint or Corsican mint leaves in grain alcohol for several weeks, followed by filtration and addition of sugar. At District Distilling, the team believed this traditional yet tempting cordial could use a little modern intervention. It is a welcome addition to the Embassy Row line. District Distilling is located in the bustling U-Street Corridor at 1414-1418 U Street, NW, Washington, D.C. 20009. Dinner is served Sunday through Thursday, from 5 PM to 10 PM, Friday and Saturday, from 5 PM to 11 PM. Brunch is available Saturday and Sunday, from 11 AM to 3 PM. Bar hours are Monday through Friday, from 4 PM to close, Saturday and Sunday, from 11 AM to close. 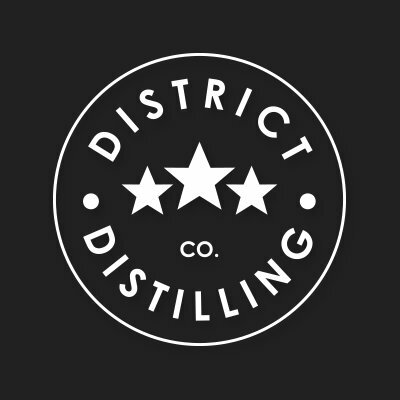 For additional information, please call (202) 629-3787 or visit http://www.district-distilling.com/.